Spielberg spoke a bit about his latest project. He said, "I am very happy to be working again with my friend Tom Rothman who shepherded us through `Minority Report,’ and with Elizabeth and Carla, who I’m looking forward to collaborating with." He continued to stress that he is happy to be partnering with Fox once again. He said, "DreamWorks has experienced a creative and profitable relationship with 20th Century Fox in the past, and I look forward to renewing that time together." 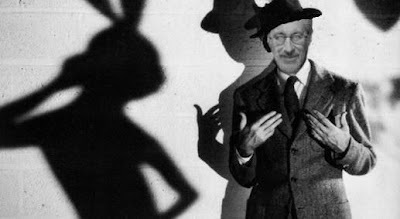 Knowing that Spielberg will be doing "Harvey" next raises the question just who will play the title character of Elwood. No word was given by the main article, however the internet has been gushing with hopes that Tom Hanks would fill the part. I can't say Hanks wouldn't be a perfect fit, but I am definately open to some other actors as well.